April 25th is ANZAC day in Australia and New Zealand. It is a time when we remember those who have died or fought in service of their country. No matter what your personal views may be about war and those who fight in them you cannot deny the courage of the soldiers and in some cases civilians who take part in these wars. But war is not the only place where people can display courage. Courage is standing up for your beliefs knowing that others don’t share them. It is standing up to a bully whether the victim is yourself or another. It is taking action no matter how small when fear is telling you to do nothing or stay the same. Courage is living one day at a time when you are deep in grief and depression and feel you can’t go on. It is learning, playing or teaching music when the lawmakers of a country forbid it. Courage is knowing that you must change whether on an emotional or spiritual level and taking the steps to become the person you really are. 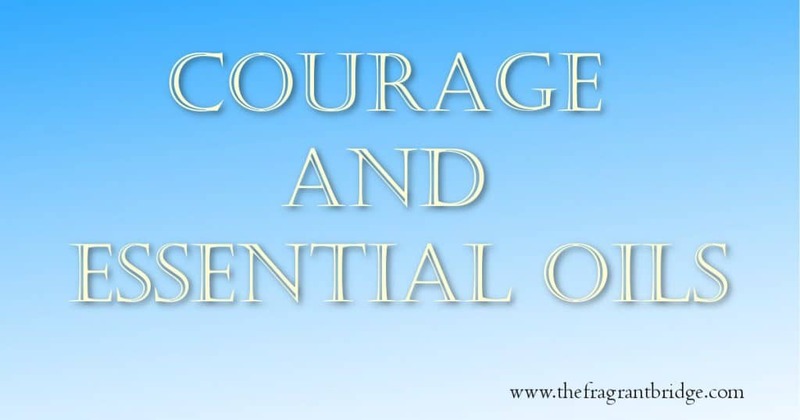 The following essential oils can help if you feel in need of some extra courage. They can be used in the bath, a massage blend, an anointing oil or in a vaporiser. You can use the oils singly or blend 2 or 3 oils together. 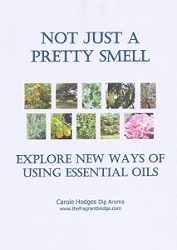 See guidelines on using essential oils. Cedarwood (Cedrus atlantica) is very grounding and gives the strength and courage to hold firm in the face of threatening situations, confusion and stress. Cypress (Cupressus sempervirens) is ideal when going through emotional and physical change. She can help unearth the fears that maybe blocking your ability to change. Ginger (Zingiber officinale) helps restore initiative and determination. Juniper (Juniperus communis) offers support in challenging situations, strengthens will-power and eases fear of failure. Lavender (Lavendula angustifolia) nurtures and nourishes you emotionally, helps instil confidence when you are feeling stuck emotionally or physically. Pine (Pinus sylvestris) can be used to restore self-confidence, increase low self-esteem. 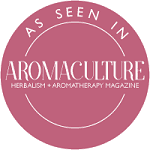 Rosemary (Rosmarinus officinalis) helps you to remember the courageous person you are. 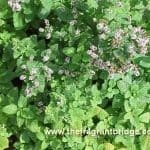 Thyme (Thymus vulgaris) instils courage and self-confidence, strengthens your resolve to overcome obstacles. Vetiver (Vetiveria zizanoide) is very grounding and offers support and strength when you are going through or feel threatened by change. This entry was posted in Essential Oils and tagged ANZAC day, courage on April 25, 2017 by Carole Hodges. Synonyms: Lemon balm, balm, common balm, bee balm. Aroma: Fresh, sweet, lemony, herbaceous. Plant: Perennial herb that grows up to 90cm with tiny white or pink flowers. When crushed the leaves exude a sweet lemony aroma. Main Growing Areas: France, Germany, Italy, Spain. Major Constituents: Geranial, neral, citronellal, citral, beta-caryophyllene. Interesting snippets: Melissa is said to be the name of the Cretan princess who first discovered how to get honey. 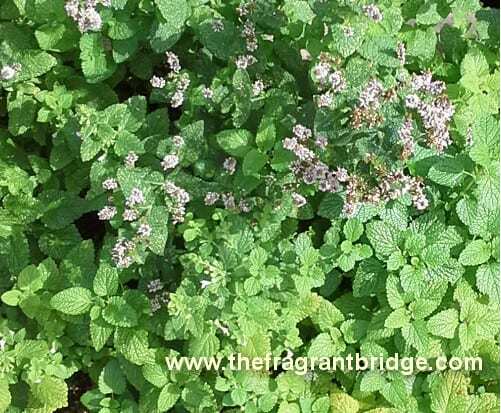 King Charlemagne (742-814) ordered lemon balm to be planted in every monastery garden because of its beauty. Melissa was used in Arabia in the 10th century as a treatment for melancholy. Part of Plant used / Extraction: Steam distillation of the aerial parts of the plant before it flowers. The highest yields are extracted in late summer from the lower parts of the plant. Oil yield is approximately 0.02% by weight. It is often adulterated with lemongrass or citronella oils. Therapeutic actions: Cold sores, flu, shingles, nausea, migraines, painful periods. Emotional and Spiritual: Nervous exhaustion. Robbi Zeck writes that like a beam of light on a dark winter’s day, melissa softens extreme emotions, eases resentment, gladdens the heart and engages the soul in its own graceful rhythm. Gabriel Mojay writes that melissa is important for depression, particularly in those who are emotionally sensitive, easily traumatised by confrontation and do not respond well to pressure. Melissa can reach the deepest layers of the psyche and can help to restore both clarity and security to a confused, dependent soul. 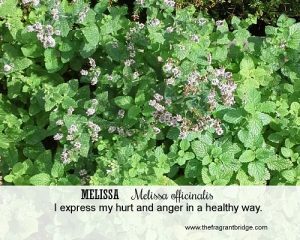 Fragrant Change Healing Card: I express my hurt and anger in a healthy way. Safety: Possible skin irritant to hypersensitive people, possibly sensitising, non-toxic. This entry was posted in Essential Oils and tagged cold sores, depression, melissa essential oil, nervous exhaustion, shingles on April 12, 2017 by Carole Hodges.